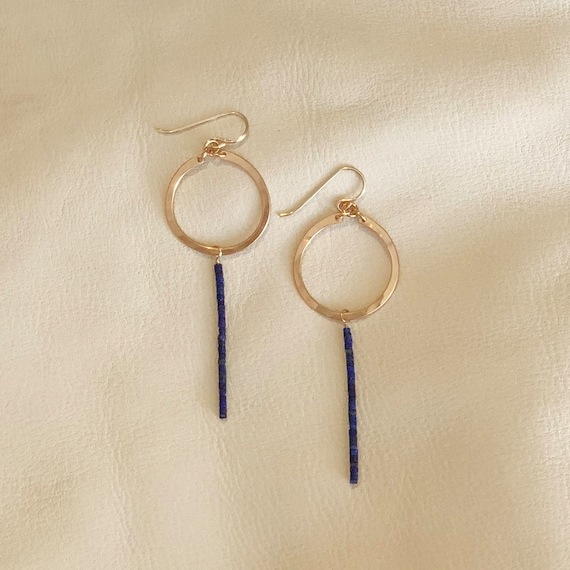 The Monolith earrings make a statement. 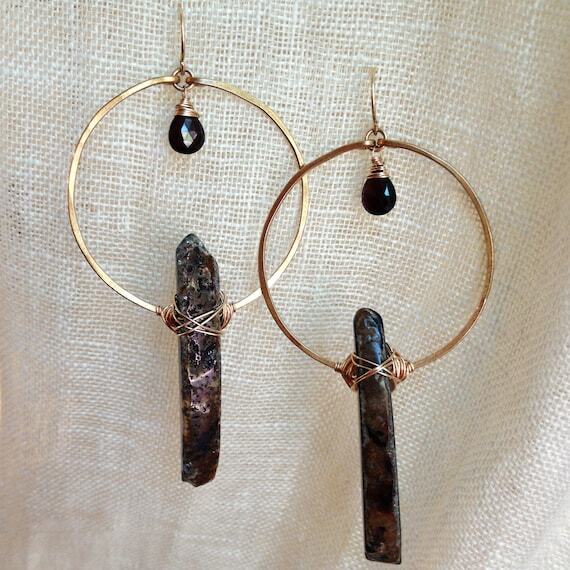 They feature long, black and neutral natural agate stick formations. 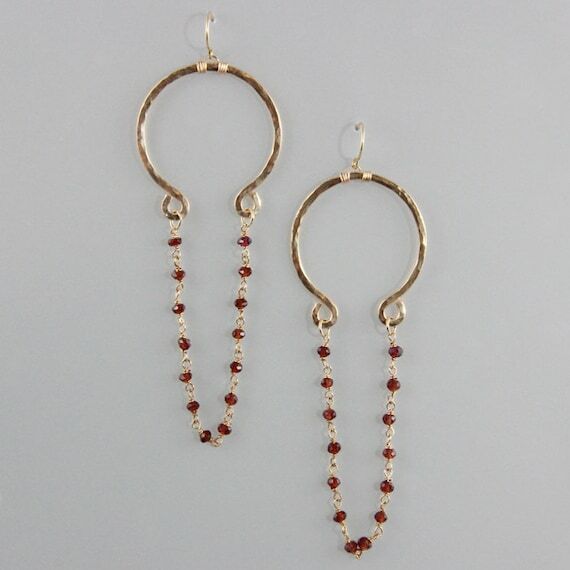 Wire wrapped onto a hammered bronze circle, featuring a small faceted deep red garnet gemstone. Length is approximately 3 inches, width of circle 1.5 inches. 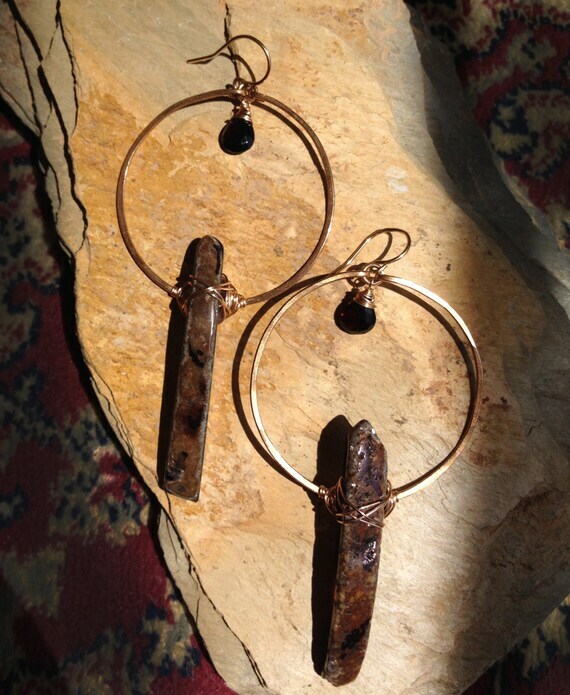 Please note, the agates shown are an example of what you may receive. 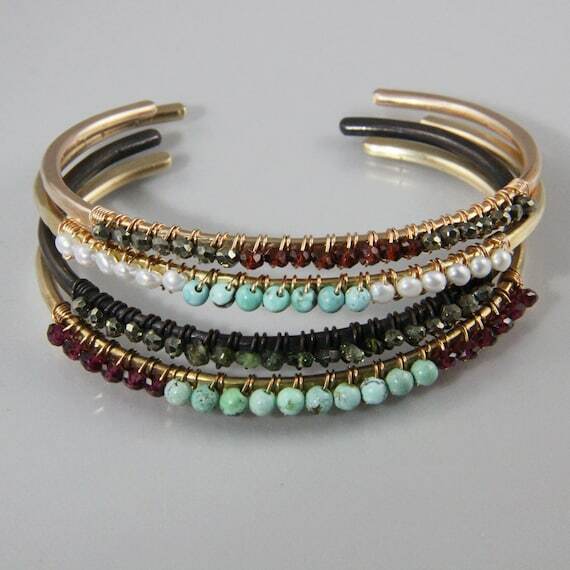 Each stone varies slightly.